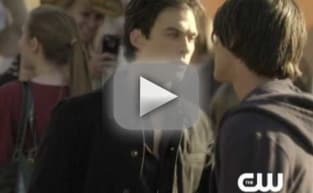 Damon confronts Jeremy in this scene from The Vampire Diaries' first season finale. He's trying to mend Jeremy's relationship with Elena. Isn't that sweet?